1 NEW 2015 LEXUS CT200h $299 for 36 months. $1,199 due at signing. No security deposit required. 10,000 mile/year limit. Offer based on MSRP of $34,494 including delivery, processing and handling. Monthly payment may vary depending on final price of vehicle & your qualifications. See dealer for vehicle and lease program details. Must take delivery by 9/30/2015. 2 NEW 2015 LEXUS RX 350 $399 lease for 36 months. $3,099 due at signing. No security deposit required. 10,000 mile/year limit. Offer based on MSRP of $48,008 including delivery, processing and handling. Monthly payment may vary depending on final price of vehicle & your qualifications. See dealer for vehicle and lease program details. Must take delivery by 9/30/2015. 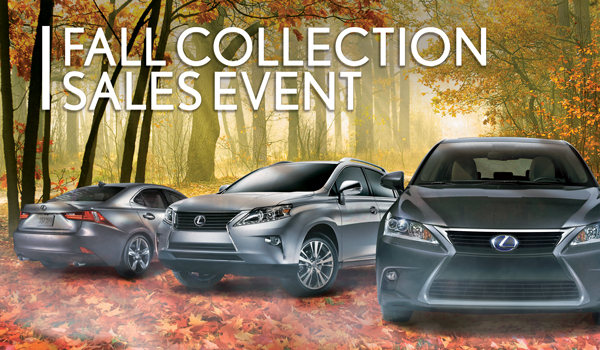 3 Special offer valid only ay at Larry H. Miller Lexus Murray. Not valid with any other special offers.